Jeje missed a glorious chance in the first half, but Miku did not, helping his side to a first win over Chennaiyin FC at the Kanteerava. It was an all too familiar clash. The great derby between Bengaluru FC and Chennaiyin FC, the clash of two great Indian strikers Jeje and Sunil Chhetri. It was attack vs defense, tiki-taka vs counter-attacking masterpiece. In the end, the giants from Bengaluru prevailed over the mighty Machans. Bengaluru FC, opening the new season at home against the defending champions was a baptism of fire. They lined up for this crunch clash in a 4-2-3-1, with Miku leading the line and Sunil Chhetri and Udanta Singh flanking him. 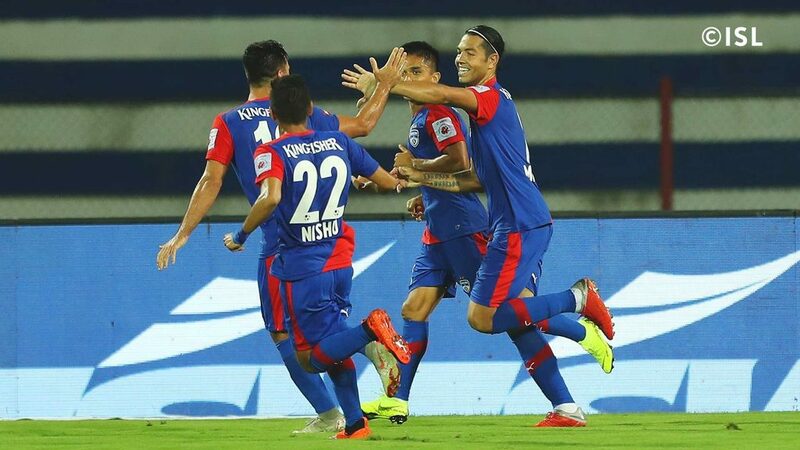 Xisco Hernandez and Albert Serran were handed their ISL debuts while Harmanjyot Khabra, Rahul Bheke, Nishu Kumar and Gurpreet Singh Sandhu made for a familiar looking Bengaluru defense. 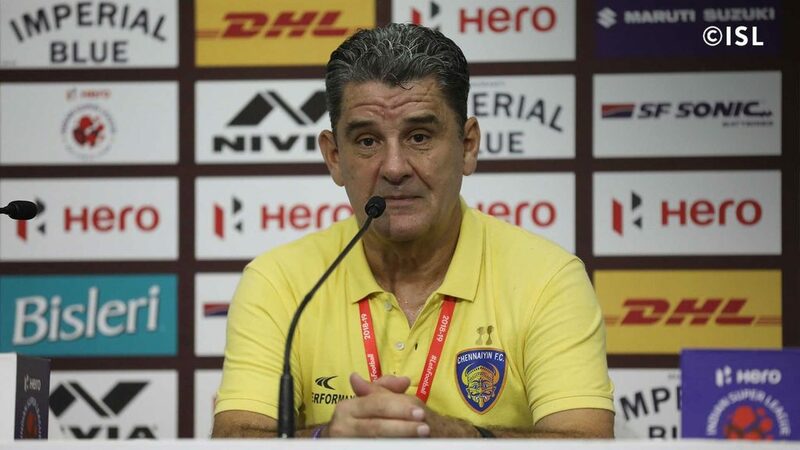 Chennaiyin FC also lined up in a 4-2-3-1, with Karanjit Singh between the sticks and Mailson Alves partnering with new signing Eli Sabia in the centre of defense. 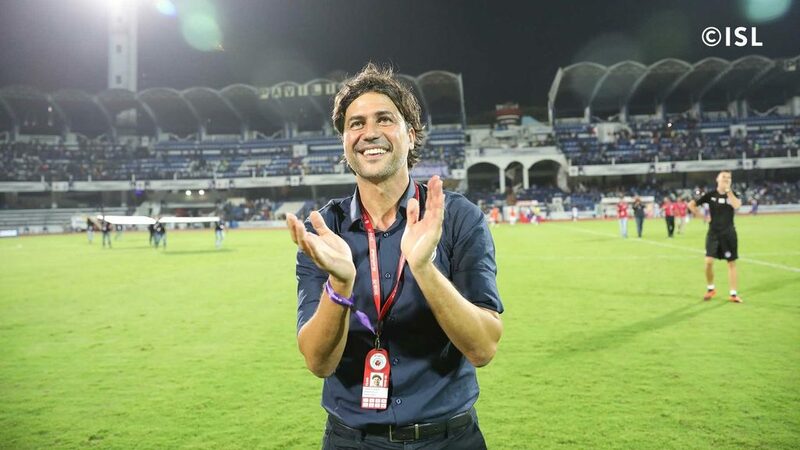 Inigo Calderon and Jerry Lalrinzuala were the attack minded full-backs, while Isaac Vanmalsawma replaced the injured Dhanpal Ganesh at the base of the midfield. Gregory Nelson and Raphael Augusto brought the Brazilian flair and technique while Jeje led the line. The game had singular flow, with Bengaluru FC laying siege on the Chennaiyin defense, who defended resolutely and countered with pace whenever they got the opportunity. Their potency on the break was on full display, when Nelson combined brilliantly with Jeje to create a one-on-one opportunity for the latter. Jeje had the easiest of jobs, but his finish let him down, skewing his effort wide of the target. This was not the only big chance of the game for Chennaiyin as the Bengaluru defense showed lapses of concentration throughout the game. Udanta was running riot on the left flank, but his final product left a lot to be desired. With a lot of chances created in the opening minutes, both the coaches decided to take a more pragmatic approach, shoring up their defense and focusing on not giving chances away. This suited Bengaluru, with Xisco sending Miku through on goal late in the first half. Miku accepted the pass with aplomb, blasting the ball past Karanjit Singh to give Bengaluru the lead. Replays suggested that Miku was offside when he received the pass, but he couldn’t care less. This changed the half time team talks, with Chennaiyin FC now forced to attack more. They did just that coming out for the second half. Inigo Calderon and Jerry Lalrinzuala were pushed higher up the pitch, as the defending champions searched for an equalizer. Their intent to attack left them open on the counter, which Bengaluru FC exploited expertly. This led to the best chances of the second half falling for the hosts, who managed to hold on to their precious lead to open their account for the season. “To be honest, we gave the ball away for the goal, which obviously I got upset about. We were a little bit sloppy in that respect. The last person you want the ball to go to is Miku. He didn’t try to be clever and smashed it in. That’s the only thing that separated us from them. But then I felt we should have been ahead by then. When you come to places like this you always have to try and contain. I thought we did that really well for the first 20 or 25 minutes. They didn’t really threaten our goal during that time. But it’s the first match of the season, things are so different. The way Bengaluru set up against us, with Erik Paartalu the way he looked after Raphael, he obviously had to go deeper to receive the ball. Isaac Vanmalsawma is new in that role. So that’s maybe something we can look at. When we got Carlos Salom in the second half, it made a little bit easier for Jeje. But still, we didn’t create as many chances in the second half. Bengaluru literally had one chance in the first half and they scored. Yes, Jeje became isolated at times and I need to address that. “I think we played a very good game. We worked with a lot of intensity and we had very good counter-attacks in the centre-half with Udanta, Miku and Chhetri. Chennaiyin created chances in the first half but all of those were because of mistakes from our end. We were very good tactically, but at the same time we made a few mistakes. You know how Chennaiyin are - a very competitive side. Their confidence is also really high after last season’s victory. In this kind of a close game, normally the one who scores first make the change in the game. We were lucky to be the first team to score. But this is normal in football- anything can happen. Chennaiyin is a very competitive team. So, you have to be at that level and you have to have that kind of intensity and strength. Otherwise, you are going to have problems. We worked hard to make the game difficult for them.